We introduce the world's 1st time ever Fairtrade mango in 2001. Mangoes are a seasonal fruit so we buy them from different Fairtrade mango growers all over the world depending on the time of year. Fairtrade mangoes Between March and June each year, you will see that your Co-operative Fairtrade mangoes generally come from Burkina Faso, a small surrounded by land country in West Africa, which is among the poorest in the world. Here, thanks to Fairtrade, 2 co-ops of small farmers, FEDAF with 250 growers, and UPPFL with 70 growers, have a successful mango business, which is in a straight line benefiting their families and their community. Previously at UPPFL, the Fairtrade Premium has funded the building of a building to house the local library, chemists and serve as a central information point for all the growers. Last year the Fairtrade premium was used by the mango growers in Burkina Faso to..
4. Improve sanitation facilities in a number of villages. UPPFL, the Fairtrade Premium has funded the building of a building to house the local library, chemists and serve as a central information point for all growers. 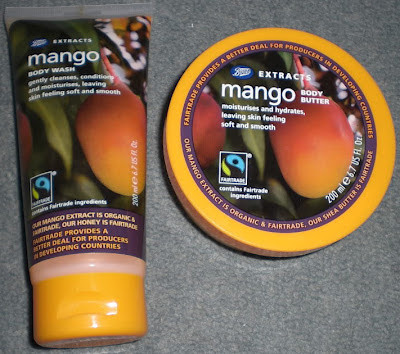 Labels: Fairtrade mango, UPPFL, West Africa.